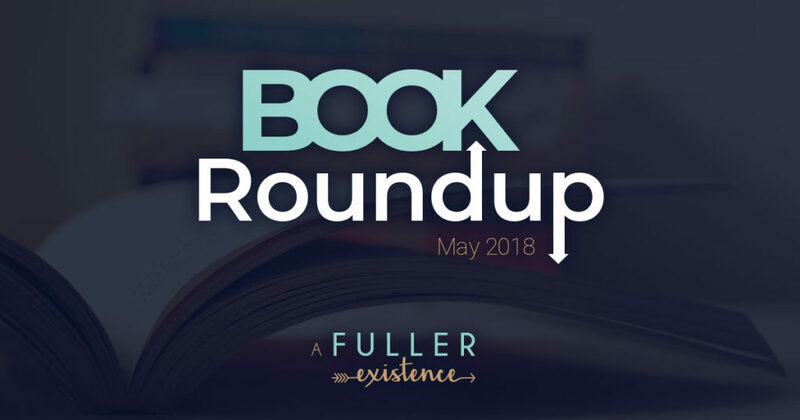 May always seems to be a busy month for us, but holy guacamole…this month was over in the blink of an eye! I was fortunate enough to be able to attend the Women In Travel Summit during the first week of May and it seems like it took me an inordinate amount of time to catch up with life once I got back. I guess that’s a byproduct of working full-time, being a wife, dog mom and semi-productive human being in today’s world. 😉 In any event, I only have three books to write about this month, but hey – 3 books is better than 0 books, right? Just in case you’re new around these parts, let me explain the formatting. First, you’ll find the title and author. I’ve also linked to the book through Amazon, but this is NOT an affiliate link. While I love to support independent bookstores, my favorite source is the public library. Next up you will see a brief synopsis of the book in my own words. This is the italicized part. Finally, you’ll see my review and final thoughts. Hope this helps! Emma Malloy suddenly finds herself in Coal River, Pennsylvania after her parents die, leaving her an orphan. After moving in with her aunt and uncle, she begins to notice the poor working conditions of the coal miners, but it’s when she meets a boy named Michael, that things really begin to change. I read Wiseman’s book What She Left Behind back in January and I absolutely loved it, so it was only natural that I check out one of her other books. This one was a bit confusing at first, but once I learned the characters and the premise of the book, it was easy reading. I felt Wiseman was long-winded at times and the story wasn’t as gripping as other books I’ve read, but it still had a good plot. However, in typical Wiseman fashion, she revealed the dirty secrets of her subject matter, the coal mining industry, which I found interesting and sad at the same time. Overall I’d give it 3.5 out of 5 stars. 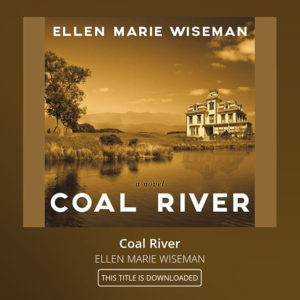 If you like historical fiction or are particularly interested in coal mining, then give this one a go, otherwise, pick up What She Left Behind. In 1992 Abby caused a terrible accident that killed her brother, Tom. In the aftermath of the accident, Abby breaks up with her boyfriend Liam and begins dating Nate, the man who heroically saved her from the wreckage. Fast forward 20 years when Liam and his wife move in next door to none other than Abby and Nate. When Abby is introduced to the neighbors, both her and Liam act as if they have never met. Let the record note, that this has all the requisites for a great thriller movie and I’m hoping that someone in Hollywood (um…Reese Witherspoon) gets the rights to this ASAP. With that being said, I loved the book. Think a less batsh*t crazy version of Gone Girl. Except no one fakes their disappearance. Or their death. Or implicates their husband because he’s cheating. Okay, okay…it’s nothing like Gone Girl, but I don’t know what else to compare it to. 😉 The book alternates between the four main characters: Abby, Nate, Liam and Nancy – both in the past and the present day. The author also throws in some chapters from the perspective of Sarah, Abby and Nate’s teenage daughter. I sort of felt like these were unnecessary, until the end of the book when it all makes sense why they are there. While you might think you’re super awesome at guessing the ending, I bet you money you’ll never guess this one. 4.5 out of 5 stars. Hansen throws out the wild idea of giving up our “righteous anger” and challenges us to do things out of love, rather than acting out of anger or spite. Full disclosure: In the not too distant past, I found that when I looked in the mirror I didn’t like the person staring back at me. I was quick to anger and slow to forgive. I harbored negative thoughts for way too long — and this negativity, among many other things, greatly impacted my life. I then embarked on a journey of faith and self-discovery, where I wrestled with questions of spirituality for the first time in my adult life. Within the past two years, I’ve been doing some major work on myself and part of that work comes in the form of reading, because reading is da bomb! Anyway…I heard about Unoffendable last summer, but I couldn’t find it in any local bookstores, so I soon forgot about it. 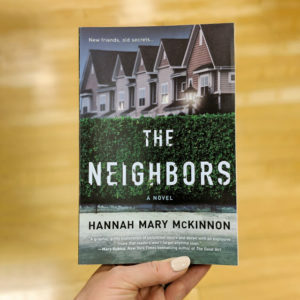 After the busyness of this month, I was hesitant to pick up another book so soon after finishing The Neighbors, but then I remembered I had this in my Hoopla Digital favorites. At only 4 hours 21 minutes, I figured I would give it a go. Boy, was this a refreshing change of pace! 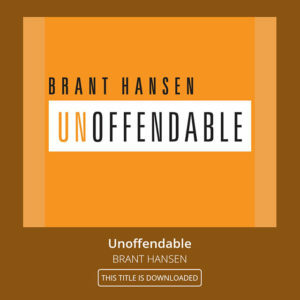 Brant narrates the audio version and it’s an easy listen since he works in radio and keeps things pretty lighthearted. Unlike some “spiritual growth” books I’ve read, I wasn’t left feeling like I had to go and complete these 28 other things before I could live out the good stuff the author talked about. Instead, the concept is pretty simplistic, but I can’t promise that it will be easy. I do think it will be worth it though! In any case, this will likely be one of my top books for 2018 since I think we could all do better at acting out of love, instead of hate. Also, Brant has a ten minute TEDx talk that touches on forgiveness and anger. I encourage you to check it out. Would you consider reading any of the books I read this past month? Have you read anything great lately? Now that June is upon us, I fully intend to ramp up my reading and my blogging game. Though I find so much joy in getting a new book from the library (or Hoopla), I’m going to make a concerted effort to read through my stack of books that I already have here at home. At quick glance, I can easily spot 20 books that need to be read. Time to get on that! Until next time, happy reading!